Cardiothoracic Surgery - field of medicine involved in surgical treatment of for diseases affecting organs in the thorax (chest) - generally treatment of heart disease (heart disease) and lungs (lung disease). Heart transplants, lung, heart-lung transplant. Cardiothoracic Surgery differs from the conventional cardiac surgery that, produced minimal cut, puncture or rather, through which is entered endovasal probe that is moving through vessels to the surgical field under hardware control. After such a manipulation the therapeutic effect occurs immediately, rehabilitation virtually is required. 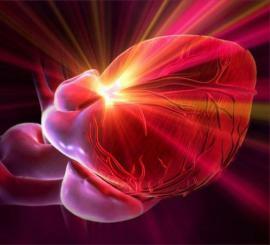 Treatment of coronary heart disease is now performed much better than earlier. Patient who suffered a Cardiothoracic Surgery, unlike cavity, can return to a normal life with a minimum number of restrictions, to lead the mobile life, travel and even play sports.